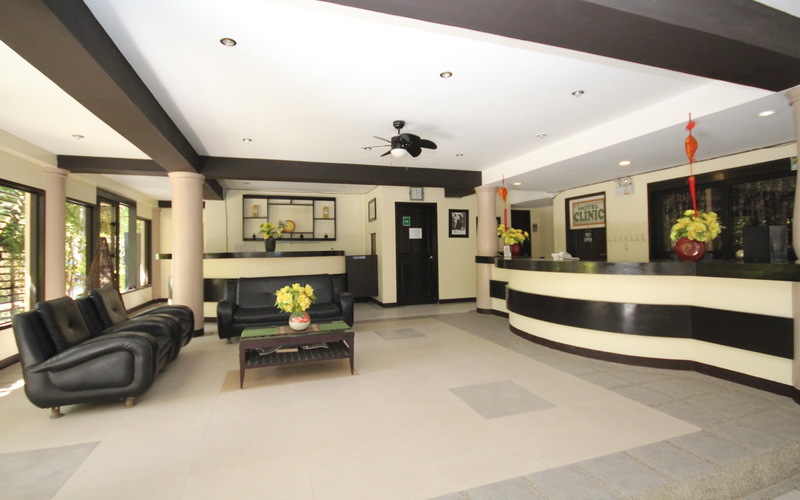 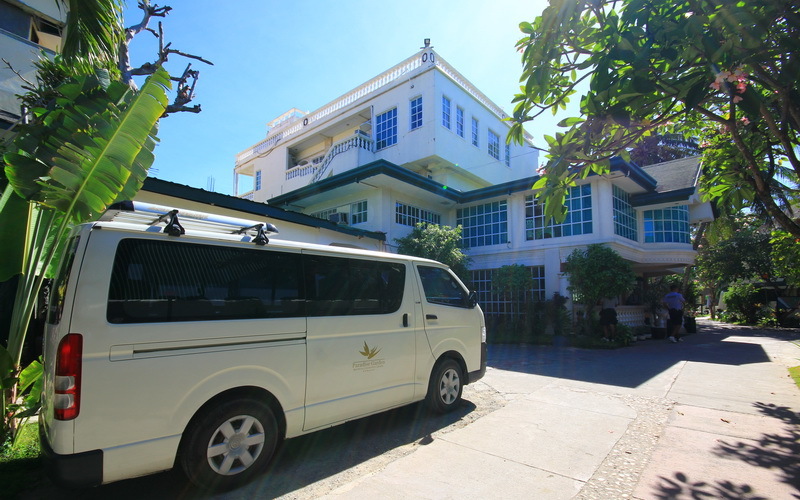 Paradise Garden Resort Hotel & Convention Center is located at Station 3, a 10-minute drive from Cagban Jetty Port. 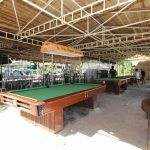 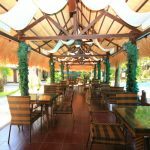 They have 3 outdoor pools, restaurant, coffee shop, business center, meeting facilities, fitness center, and even a souvenir shop. 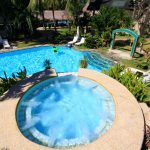 This resort offers rooms with views of tropical landscapes from private balconies; and amenities such as air conditioning, private bathroom with hot and cold shower, bathtub, LCD cable TV, telephone, safety deposit box, mini refrigerator, and WiFi internet access. 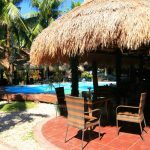 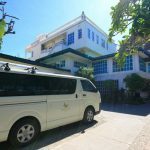 Excellent service and high quality of amenities, Paradise Garden Boracay Resort Hotel and Convention Center can surely make your vacation a memorable one in the island. 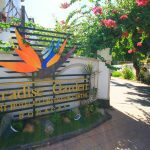 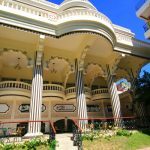 The spacious Deluxe Rooms at Paradise Garden Resort Hotel are equipped with either one (1) double bed, or two (2) single beds, which can accommodate 2 adults. 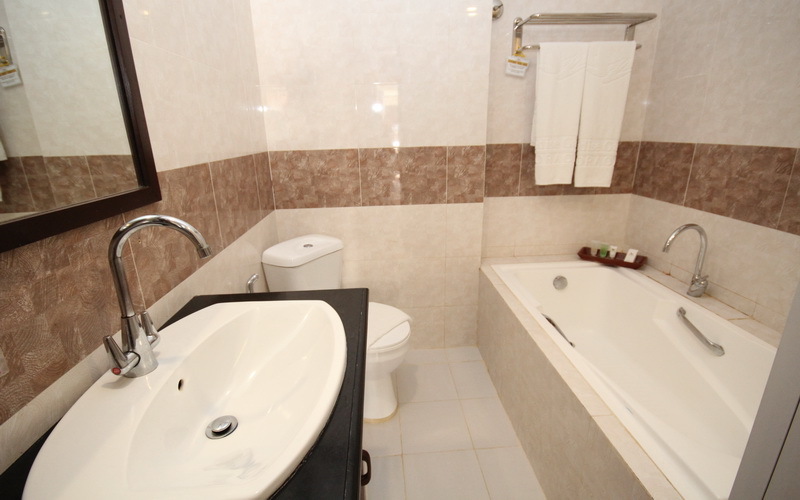 Room amenities include cable TV, internet access, mini-bar and a safety deposit box. 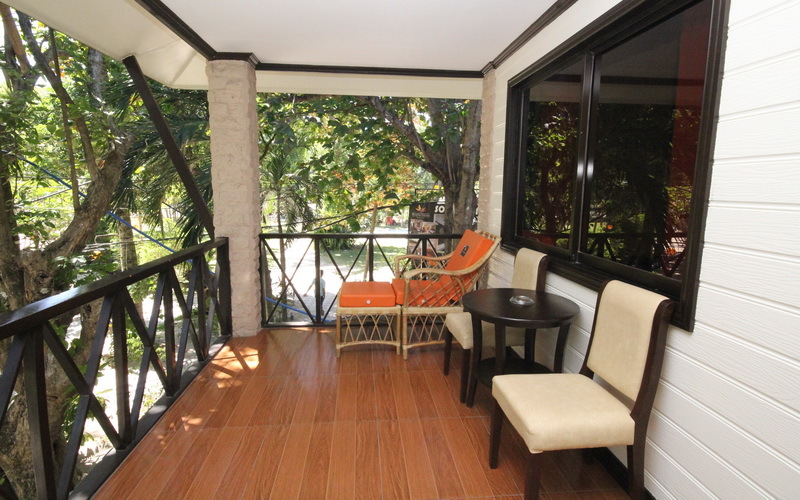 This 23 sqm room also features a large, private veranda with outdoor seating where you can enjoy the view of the garden. 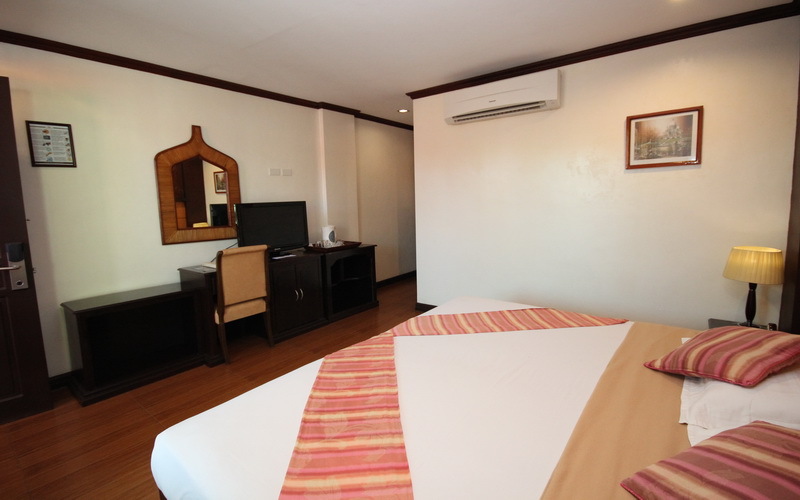 The Superior Deluxe room at Paradise Garden Resort Hotel is equipped with one (1) king size bed and can accommodate 2 adults. 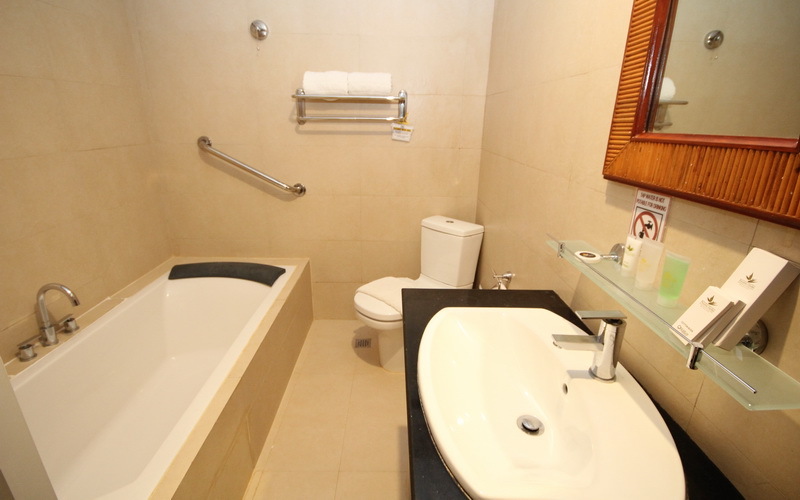 The 30 sqm room also offers a bathroom with a bathtub and a large, private balcony with outdoor seating and a view of the gardens. 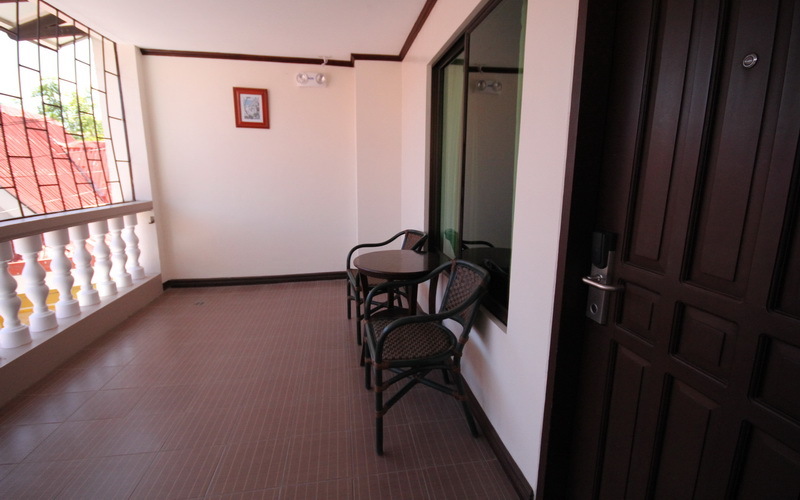 Room amenities also include cable TV, internet access, mini-bar and a safety deposit box. 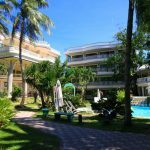 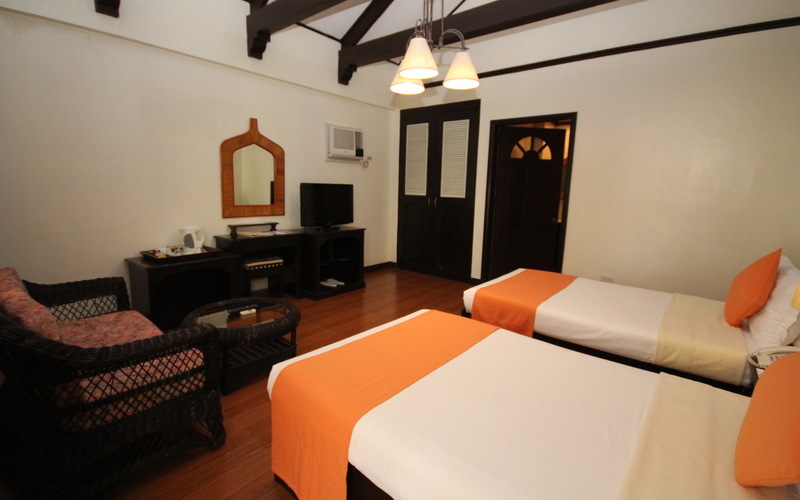 Paradise Garden Boracay Resort Hotel and Convention Center offers approximately 100 rooms and suites furnished with modern high class amenities. 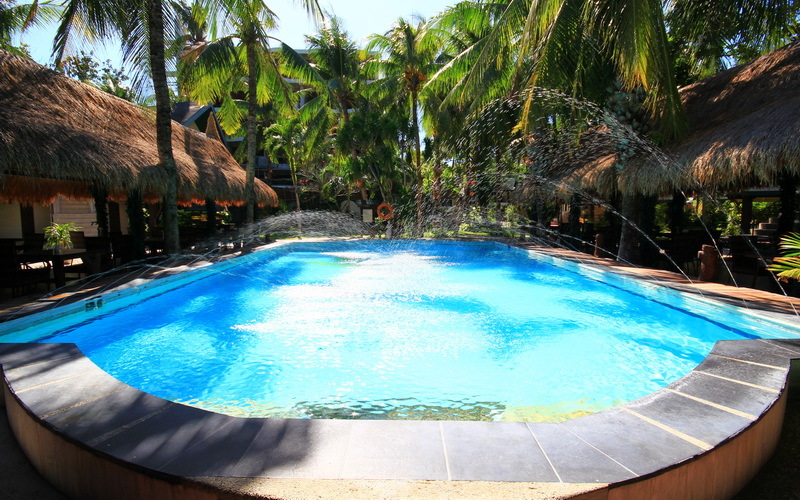 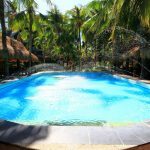 The resort is set on a tropical garden and features 3 swimming pools, 2 restaurant outlets which serves authentic Chinese and Continental cuisine, and conference facilities for large groups. 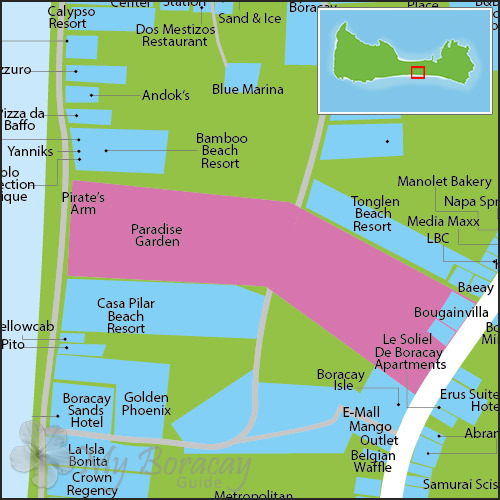 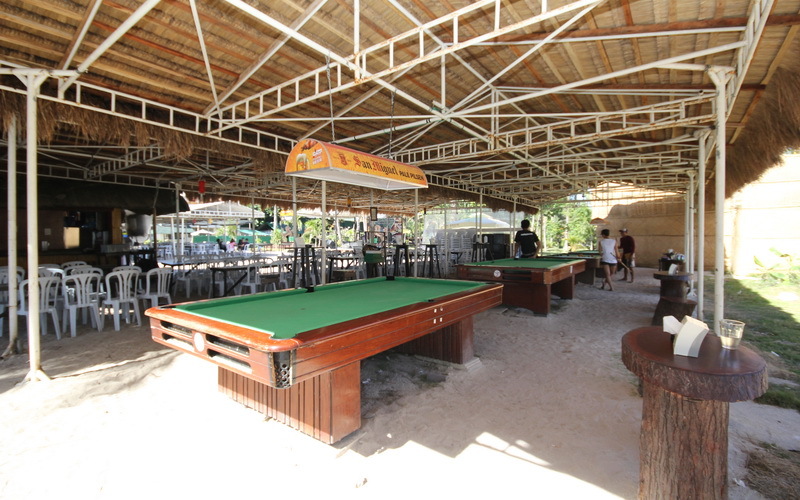 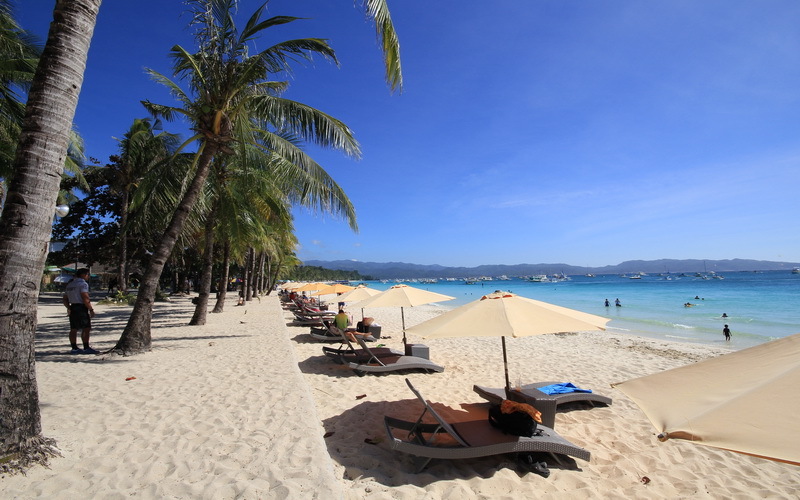 Paradise Garden Boracay Resort Hotel and Convention Center is strategically located directly in White Beach Station 3. 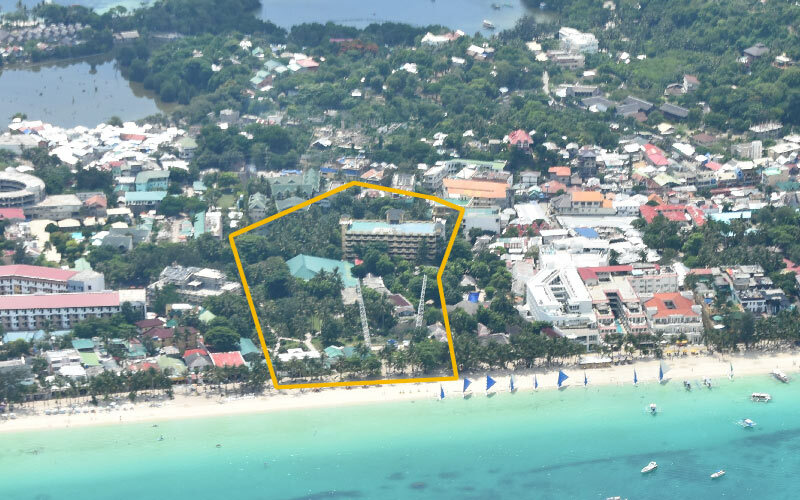 The resort stretches from the beach all the way to the roadside as it gives convenient access to the Main Road through the resort's opposite gate entrance. 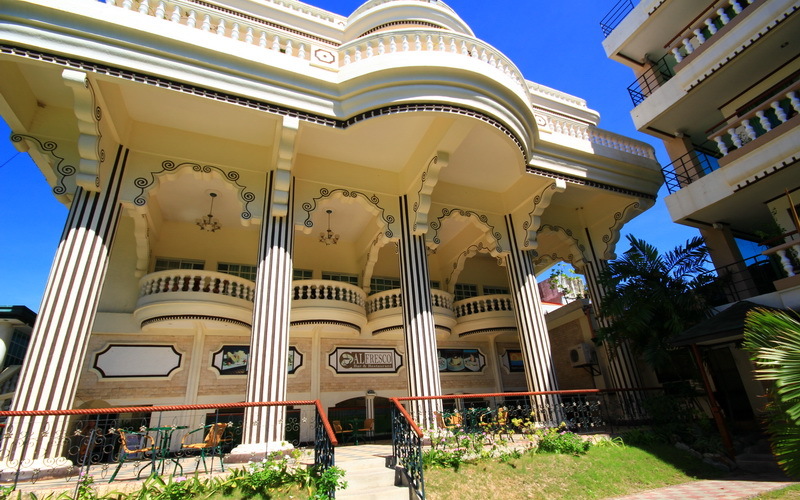 The location is beside E-Mall where many souvenir shops are located. 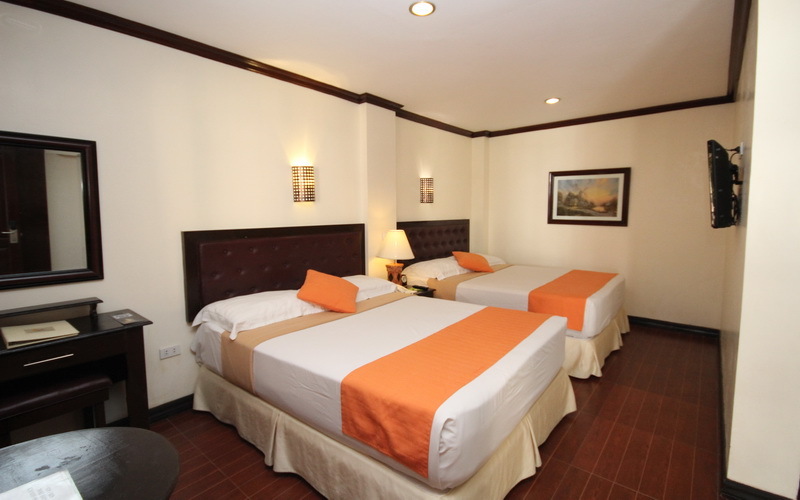 Buffet breakfast is included in the room rates. 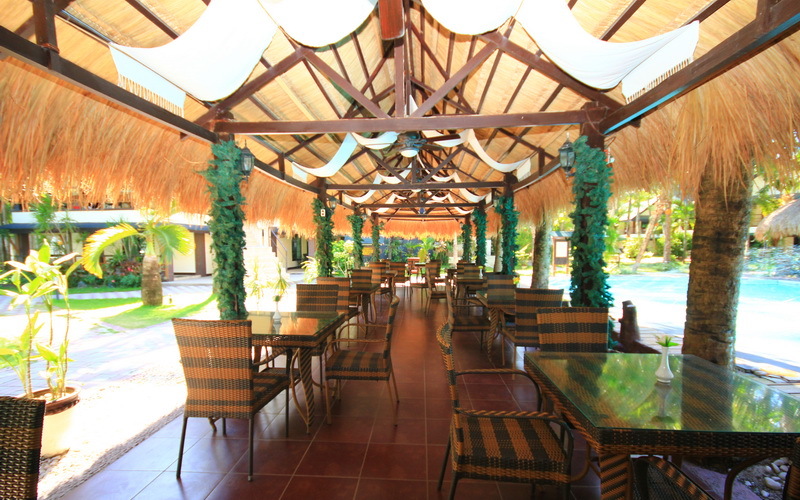 Filipino, American, and Continental types of breakfast are served daily. 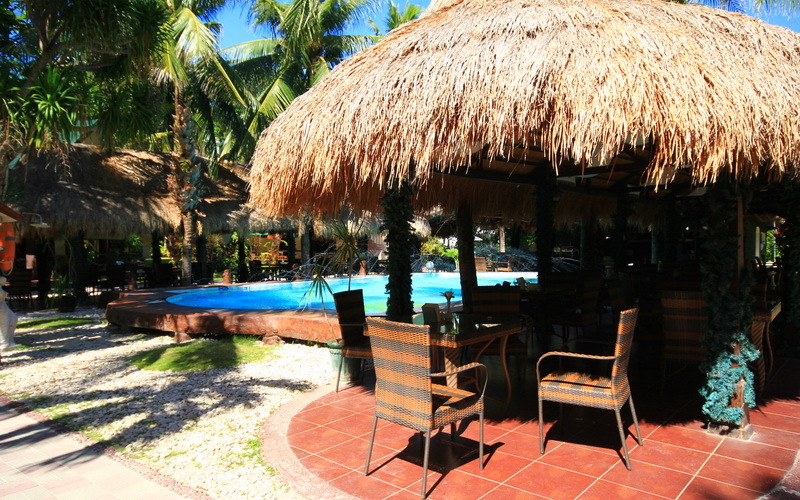 Additional breakfast is PHP 450.00 per person. 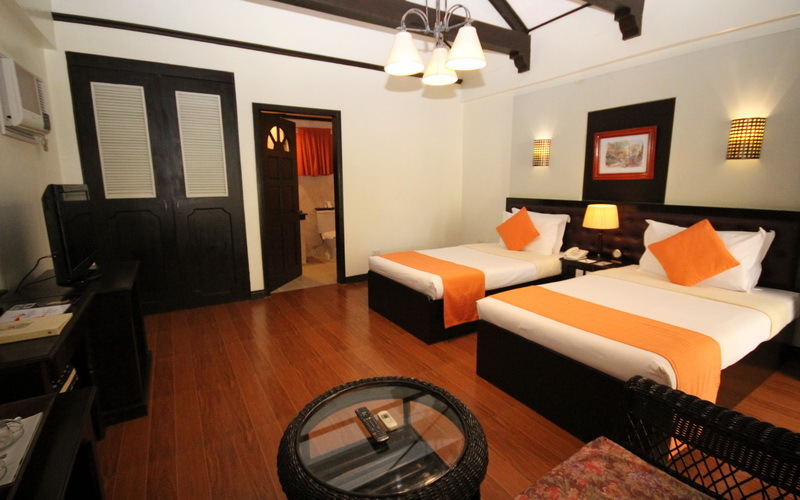 One child 3 years old and below is free of charge sharing existing bedding. 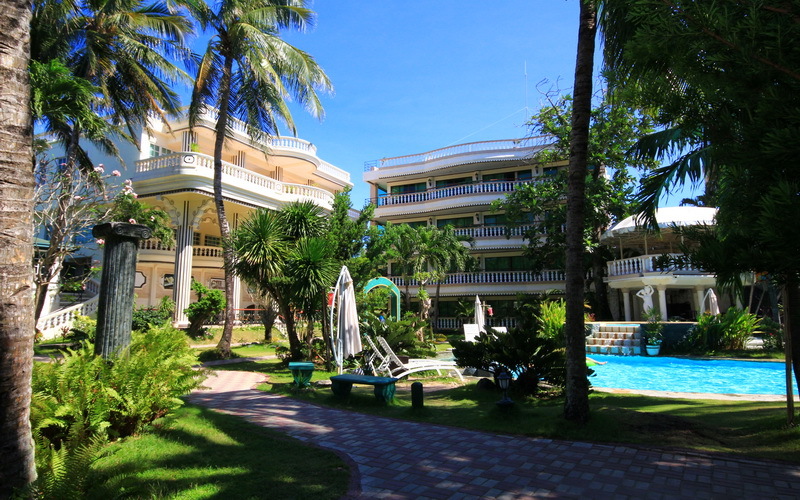 Paradise Garden Boracay Resort Hotel and Convention Center has free Wi-Fi internet service in public areas. 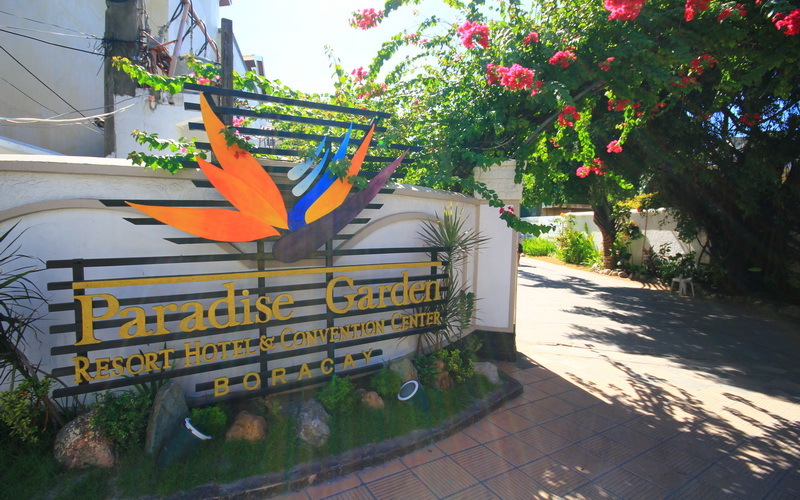 Paradise Garden Boracay Resort Hotel and Convention Center offers complimentary round-trip transfer from and to Caticlan Airport.